Call (850) 653-5755 to book your Apalachicola or St. George Island, Florida fishing charter today! Let Woodduck's Guide Service take you on an exciting Apalachicola or St. George Island Fishing Charter with Captain Allen “Woodduck” Richards as your experienced fishing guide! 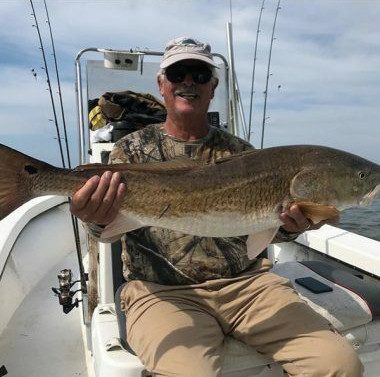 With 30+ years of experience, he will take you to all the best honey holes and fishing spots, so you are guaranteed to go home with a great catch while on your St. George Island Fishing Charter! When spring arrives on Florida’s Forgotten Coast, Woodduck's Guide Service will load the boat and Captain Allan “Woodduck” Richards will take you on a fishing charter for Bull Reds and a variety of other fish such as Pompano, Spanish Mackerel, Black Drum and Speckled Trout at Bob Sikes Cut off of St. George Island, Florida. 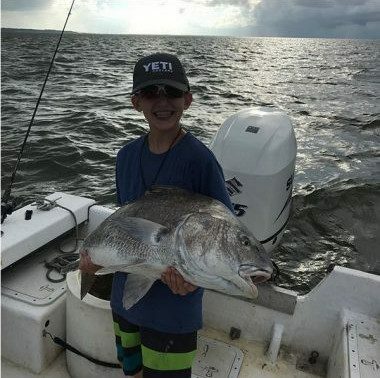 Bring the family for a fun and exciting summer fishing charter they will remember for a lifetime. You will have your chance to catch a variety of fish like Redfish, Spanish Mackerel, Speckled Trout, and Pompano to name a few. Come along with Captain Woodduck for a fun fall fishing charter! The fall season is the best time to catch Speckled Trout, Redfish, Sheepshead and Flounder. The Apalachicola Bay system includes the St. George Sound, St. Vincent Sound and East Bay. Four islands are also part of the Bay system including St. Vincent Island to the west, Cape St. George Island, St. George Island to the south and Dog Island. A 28-mile barrier island, St. George Island is located close to the neighboring island of Little St. George and is connected to the rest of Franklin County by the 4-mile long St. George Island Bridge that spans over the Apalachicola Bay. Woodduck's Guide Service looks forward to taking you and your friends and family on an exciting, fun filled fishing charter you’ll remember for a lifetime! If you're looking for some good, old-fashioned family fun, Woodduck is your perfect fishing guide! Call (850) 653-5755 or fill out the form below to request a trip. Remember, anybody can take you fishing, but if you want to catch fish call Woodduck's Guide Service! Call (850) 653-5755 to book your fishing charter today!